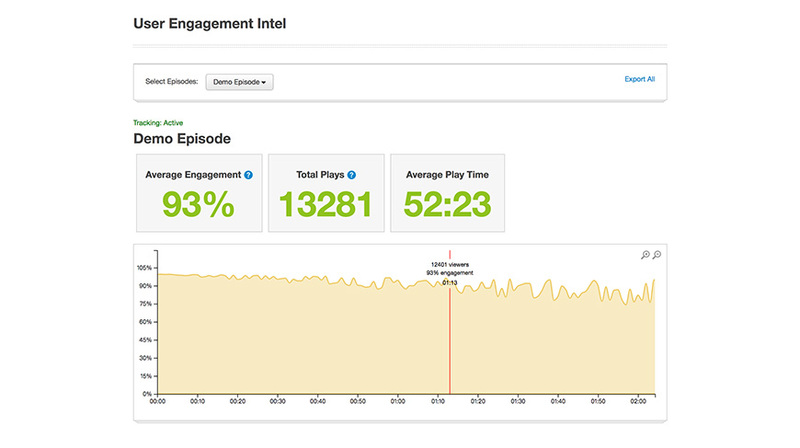 User Engagement Intelligence reveals insights into the behavior of your users on the Podbean app and player (Shows listening data for the most recent 10 episodes). Behavioral analysis focuses on understanding how an user acts and why. It allows podcasters to better understand user behavior to adjust content and offers accordingly. User Engagement Intelligence takes large volumes of raw usage data captured during use of the app, such as average engagement traffic data and geographic information. From average engagement, podcasters can easily see what users play over and over, what they skip, when they stop listening and more. This allows a podcaster to gain deeper knowledge of their audience’s responsiveness. This in-depth user intel can help in attracting and managing sponsorships and listener support, as well as improving marketing strategy and content development. With a deeper understanding of your users and their behavior, you can take action based on data instead of guessing. You can spot possible trends and better achieve desired outcomes for the podcast and related goals. Note: App will begin collecting data after it is enabled. Data will not be available on listening behavior before that time.